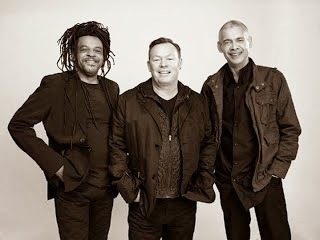 Ali Campbell's version of UB40 featuring Astro and Mickey Virtue are a making a brand new track titled "Reggae Music" available as a free download on their website. According to the band the song is a mission statement in their quest to differentiate themselves from their former band mates in UB40 as the keeper of the band's reggae bonafides. Fresh from the studio, Ali, Astro and Mickey have produced a brass-laden call out to their fans in the form of this brand new track ‘Reggae Music’. The track heralds the triumphant return of UB40 and responds to the recent dialogue between the trio and their former members, by letting the music do the talking. This is just a sign of things to come. How about we let the fans decide? Trumpeter and vocalist Astro publicly quit the group during a radio interview late last year and immediately connected with Ali Campbell and Virtue. 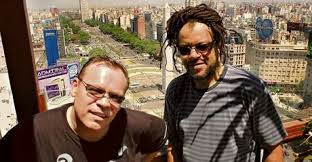 The trio released a statement a few weeks ago announcing "the three founding members (were) back together, performing and recording as UB40 once more" and launched a new UB40 website which included dates for shows across the world. The five remaining members of UB40 issued a statement on their website and Facebook page last week which indicates they will be taking legal action against Campbell and his band mates. Give the song a listen and make up your own mind. What do you think? Fans of 2-Tone have spoken longingly and lovingly of a BBC Arena television documentary titled "Rudies Come Back" that aired during the height of 2 Tone. Until recently the 30 minute documentary had been impossible to find, but a version has popped up on YouTube. 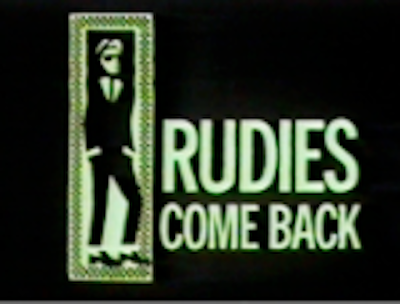 "Rudies Come Back" is hosted by music journalist Adrian Thrills. It was filmed in 1979 and originally aired on the BBC on March 3rd, 1980. 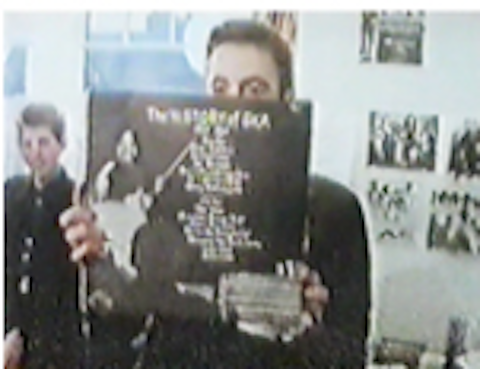 It remains the holy grail of documentary footage of the The Specials, The Selecter and the Coventry music scene and captures the 2-Tone movement at its peak. Interestingly, once Thrills begins to interview the band, many of the members seem tongue tied. Everything seems to revolve Dammers, who was the de facto label head, band leader and A&R man. For a short time over the next couple of years, the band and label were huge. Walt Jabsco and the 2-Tone logo were everywhere you looked. Watching this now, it comes as no surprise that Dammers and the band struggled with the mounting pressure that overnight success had created. The five members of UB40 issued a statement on their website and Facebook page which seems to suggest they will be suing ex-singer Ali Campbell and former members Mickey Virtue and Astro who announced last week that they were also calling themselves UB40. The original members had kept silent about the announcement until yesterday, when they finally issued a statement of their own calling the move a "desperate attempt by our former band mates to hijack UB40's brand name, business and legacy." Trumpeter and vocalist Astro publicly quit the group during a radio interview late last year and immediately connected with Ali Campbell and Virtue. The trio released a statement last week announcing "the three founding members (were) back together, performing and recording as UB40 once more" and launched a new UB40 website which included dates for shows across the world. Oh to live in London! 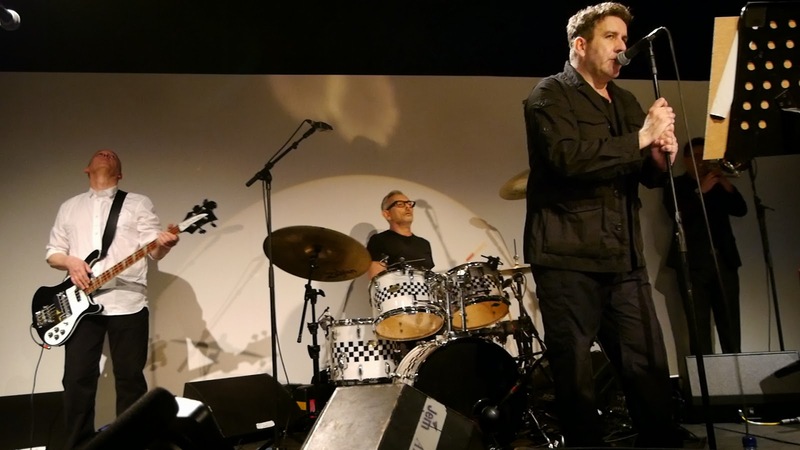 Fred Perry recently hosted a Terry Hall Retrospective in conjunction with London Fashion week in early January. The invitation only event featured Hall backed by his band mates from The Specials -- Horace Panter on bass and John Bradbury on drums -- and also featured Ian Broudie (guitar) and Angie Pollock (piano) from The Lightning Seeds. Hall and Broudie collaborated on a number of sings in the early and mid-90's including the track "Sense" (which featured Hall on the song and the video) reaching No. 31 on the UK Singles Chart in 1992. Hall's set included songs from The Specials, Fun Boy Three and Colourfield, as well as tracks from some of his favourite songwriters and artists (Talking Heads "Heaven") which demonstrated the depth and breadth of his musical interests, capabilities and inspirations. Check out edited footage of the band's entire performance as well as full clips of "Sense" and "Our Lips Are Sealed" below. Post by Through The Years - Terry Hall. While the news is not surprising, given that Astro joined Campbell's band for a show last year following an announcement that he had quit the band, what is surprising is that the three former members are planning to call themselves UB40. Clearly, the band featuring Campbell's brother Robin, drummer Jim Brown, saxophonist Brian Travers, bassist Earl Falconer and percussionist Norman Hassan retain the rights to the name. UB40 have not issued a statement yet, but fans from both sides of the UB40 divide have weighed in with their thoughts about the move on each band's social media outlets. The bottom line is that a once proud band with a great back catalog of music has been reduced and diminished by never ending drama. UB40 is dead. 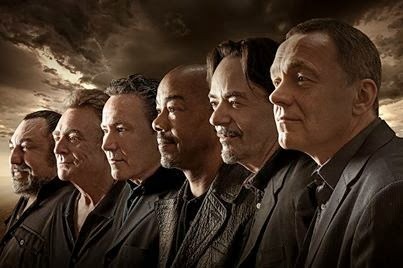 Long live UB40! 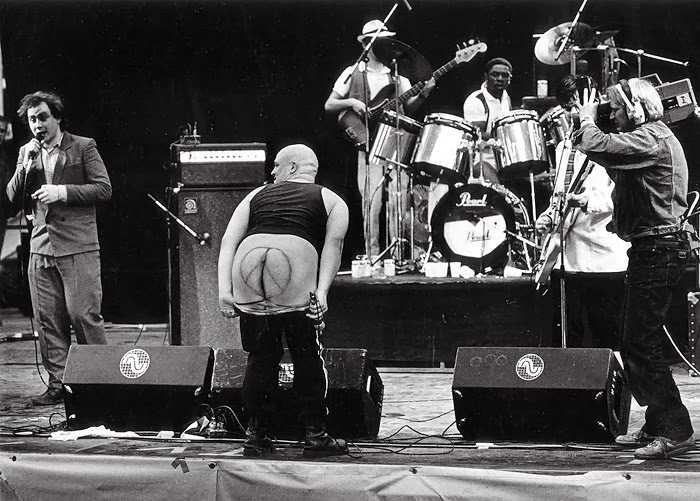 Bad Manners To Play Coachella 2014! Someone at the Coachella Valley Music & Arts Festival must really like ska! For the fourth year out of the last five, a 2-Tone era ska band will be part of the prestigious line-up. In 2010 it was The Specials, who were touring the U.S. for the first time since the early 1980's. In 2012, Madness brought their nutty sounds to the desert festival, and last year it was The Selecter who wowed the crowd with a blazing mid-afternoon set. This year Buster Bloodvessel and Bad Manners will make an appearance on Sunday April 13th and Sunday April 20th. The band last toured the U.S. in 2011 and it remains to be seen if they will add more North American tour dates around their appearances. It also remains unclear which band members will accompany Buster to the U.S. Over the last 20 years or so, he has toured with shifting group of back-up musicians and during the the band's 2011 U.S. tour, recruited mostly young U.S.-based ska musicians to back him. Buster appears to have a band of young UK-based musicians backing him now and they performed at the Islington Academy in London this past December. Watch the band perform a slew of their hits including "Lorraine," "Special Brew," "Lip Up Fatty," and "This Is Ska/My Girl Lollipop." Though unclear, it is possible the Coachella shows could serve as a reunion of the original band that formed at in 1976 at Woodbery Down Comprehensive in London. In December 2012, founding members of the band met for the first time in decades. The meeting was successful and this past summer seven of the original nine members met again. The 'Bad Manners Originals' who attended the reunion were; Andy Marson (alto sax), Paul Hyman (trumpet), Alan Sayag (harmonicas), Chris Kane (tenor sax), David Farren (bass), Martin Stewart (keyboards) and Brian Tuitt (drums). 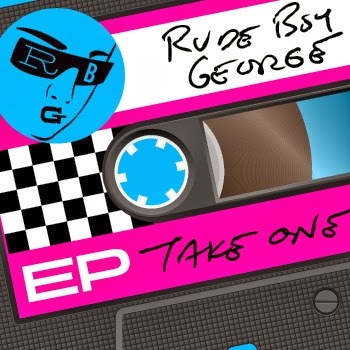 Rude Boy George EP "Take One" Now Out! -- New Wave Goes Ska! Happy 2014 to all MOTB blog readers! I'm excited to announce that the Rude Boy George digital EP "Take One" is finally out! The band concept was hatched a year ago during a dinner I had with Bigger Thomas lead singer Roger Apollon Jr. and Duff Guide To Ska blogger and former Moon Records honcho Stephen Shafer before we saw a Morrissey show in Brooklyn, New York. We wanted to combine our love of ska and reggae with 80's new wave. Roger coined the band name (the other option was Flock Of Scooters!) and we were off and running. We recruited Across The Aisle singer Megg Howe, The Toasters piano man Dave Barry and Bigger Thomas members Spencer Katzman (guitar) and James Cooper (drums/percussion) and started rehearsing as much as possible. We shared a few early rehearsal recordings with ex-English Beat bassist and LA-based producer Wayne Lothian who loved what he heard. Before we knew it, we had recorded songs with Wayne at Bill Laswell's studio in West Orange, New Jersey. Wayne shared the tracks with English Beat toaster Antonee First Class who added his vocal talents on our reggae version of The Romantic's "Talking In Your Sleep" and we knew we had something special. Below is the fruit of our labor for your listening pleasure. Truth be told, the twin pillars of 2-Tone ska and 80's new wave music sustained me through much of a challenging youth during the 1980's. 2-Tone revealed harsh economic, social and racial injustices with a power and a fury that was undeniable but also danceable. It forever influenced my world view and moved me to learn an instrument and start a band that I've played in for 25 years. Though I tend to be a religious secularist, I've worshipped at the Church of 2-Tone for most of my life. So if you like the idea of some of your favorite 80's new wave songs wrapped in a loving ska and reggae embrace, we hope you will consider giving our versions a spin. Many thanks!